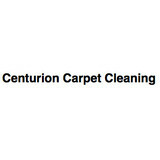 My name is John, and I am the owner of Centurion Carpet Cleaning LLC, serving the Kitsap Peninsula, Pierce County, and King County. I started cleaning carpet in 2012 and am IICRC certified, Licensed, Bonded and Insured. I have undergone very intense training and tackled some jobs that even the “seasoned” carpet cleaners have rejected, which have resulted in some of my greatest success stories. At Centurion Carpet Cleaning, we use a CDS truck-mounted machine from Hydromaster. It is a self contained unit so that we don’t have to invade your privacy to access water to clean the carpet. We have extensive experience in many different areas and welcome a phone call to discuss how we can make your situation a little cleaner and more livable. 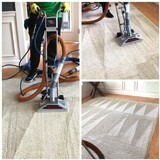 Full service residential carpet & upholstery cleaning company. We have the knowledge and experience to care for your carpet, area rugs., and upholstery.All of these services are backed by our personal satisfaction guarantee- if you're not happy with the results, we'll fix it, no charge. We offer free in-home estimates, and in several cases, we are able to offer next day service. Call Smith Brothers for your free estimate, and to see what the Smith Brothers ultimate cleaning experience is about! Your carpet cleaners for life! We build lasting relationships by giving great value, honest terms, and doing a good job cleaning your carpets. • Carpet cleaning • Upholstery cleaning • Window cleaning • Hard surface cleaning: ceramic, stone, tile, slate, etc. • Area rugs – picked up, cleaned and delivered • Janitorial maintenance All Clean Of America’s carpet care technicians serving Puyallup, Tacoma & Lakewood are specially trained to guarantee our customers the very best quality standards within the carpet cleaning industry. Our steam cleaning process will effectively remove dirt and stains from your carpet fibers. Our technicians are truthful non-commissioned professionals. A Clean Carpet Company has been in business on Whidbey Island since 1989. Owner Caleb Cate started working for the company when he was just 16 years old, and bought it from the original owners 10 years later. Caleb grew up in Coupeville, and there are two things he knows and respects from the inside out: Whidbey Island and the art and science of cleaning carpets. In the office, Judy Shelton runs all the daily tasks and helps customers with their needs. Judy is friendly, always smiling, and knows how to keep the flow of work running smoothly. As a company, we take pride in honest, ethical work. Because we live on Whidbey Island, our clients are our community, and we care about you. We always strive be on time for appointments, and if for some exceptional reason we can’t, we will always provide ample notice. Our motto is “Excellence beyond expectation every time.” It’s a lot to live up to. But it’s our commitment to you. 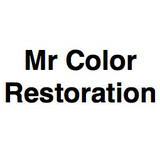 Where quality is the difference Brighter brights and whiter whites America's award winning fabricare specialists. Since 1956, New Era Cleaners and Laundry is your one-stop shop for all your cleaning and restoration needs. New Era has been rated a Five star enviro star cleaner. There are 3 convenient locations 2 in Tacoma and 1 in Puyallup to meet all your cleaning needs. When you use our services, your carpets will be beautifully clean, fresh smelling and dry ready to use right away! Master’s Dry Carpet Cleaning specializes in encapsulation and Host™ carpet cleaning which leaves no sticky detergent residue to attract new soil, so your carpets stay clean longer. Encapsulation and Host™ carpet cleaning are eco-friendly, approved by carpet and rug manufacturers worldwide. Our dry carpet cleaning is ideal for use on all types of carpet including natural and synthetic fibers, stain-resist, nylon, polyester, wool, fine area rugs and delicate Orientals. Our small business makes a difference for you because Tom and Julie serve at your feet personally. Cleaning Service Take advantage of one of today's many cleaning services. We offer full time cleaning services for those days when your schedule is too full to fit in house cleaning needs. Regular cleaning services are available on weekly, or bi-weekly basis. Special Touch Cleaning Pros currently employs around 200 cleaners, mostly on a part time basis, either early morning or evening. The cleaners carry out a daily cleaning service to almost any home and office. They can mop, dust, vacuum, wash, disinfect and clean up every corner of your house. Not a superficial cover it up, but a deep thorough complete cleaning. Cleaning includes all services normally associated with a house cleaning company, including emptying all trash, dusting, vacuuming carpet, cleaning mirrors and insides of windows, and cleaning the bathroom toilet, shower/bath, sink, and floor. Carpet Cleaning The carpets in your home are one of the most important things to take care of. Over time, there is a lot of dust and dirt that can build up in carpets. If a person has pets or children living in a home, this can compound the issue. We offer a wide variety of carpet cleaning services. 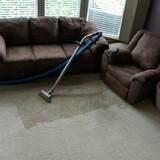 If you are looking for carpet cleaning services in Seattle,WA you have come to the right place. Maid Service Today's families are busier than ever. When both parents work outside the house and the kids need to get to after school activities and sports events, housework never seems to get done. More and more families are considering using a maid service to keep their homes clean and comfortable. However, is it really safe to use a maid service? How do you hire the right service for your family? Now that you know the cleaning service does a good job for other people, it is time to give the maid you will be using a try. Ask for a trial cleaning to be sure you are satisfied. Finally, when you use a maid service, be sure that you respect your cleaning person. After all, this is the person who sees your home at its worst each week and helps it regain its sparkle and polish so that you can be proud of the way it looks. Small businesses are successful only if they maintain satisfied customers. Ernie's Carpet Care Owners and OperatorsThat is why we are dedicated to providing you the most outstanding service experience possible. We are fortunate to employ a remarkable staff. We consider them an extension of our family and our greatest asset. We opened our doors over 20 years ago in Puyallup, WA with the commitment to offer high-quality, affordable professional carpet cleaning services to our community. As our carpet cleaning experience grew, so did our thirst for knowledge on the best techniques, products and equipment. Maintaining high standards for our carpet cleaning services, we use a state-of-the-art truck-mounted Prochem steam cleaning equipment for carpet cleaning, and the powerful HydraDri upholstery cleaning tool for rapid drying times. We are also very proud of the fact that we have been fully certified by IICRC (Institute of Inspection Cleaning and Restoration). We are still family-owned and operated and provide carpet cleaning, upholstery cleaning, tile & grout cleaning and duct cleaning for many neighboring communities. Available Carpet Care & Upholstery Cleaning has been in business for over 22 years. We are family owned business and are able to have a special hands on touch with our clients! We have a professional high powered truck mount for Hot Water Extraction, also known as Steam Cleaning. This is the #1 recommended method of cleaning by carpet manufacturers. With regular carpet cleaning with this method (every 12-16 months recommended), we can remove 99% of dry soils and contaminants. Our technician has been with us for over 6 years and is qualified to determine the correct care for your carpet needs.